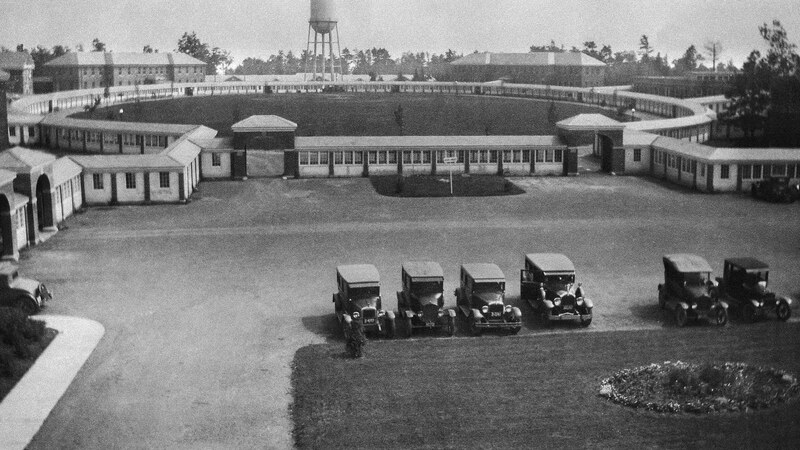 Early aerial photo of the VA Hospital in Leeds, Mass. Gordon Tatro enjoys telling the story about how the sprawling Veterans Administration facility in Leeds came to be built there. The prevailing theory, said Tatro, who worked in Engineering at what is now the VA Central Western Massachusetts Healthcare System for 20 years and currently serves as its unofficial historian, is that the site on a hilltop in rural Leeds was chosen because it would offer an ideal setting for treatment and recuperation for those suffering from tuberculosis — one of its main missions, along with treatment for what was then called shell shock and other mental disorders. And while some of that may be true, politics probably had a lot more to do with the decision than topography. Nearly 95 years later — May 12 is the official anniversary date — it is still there. The specific assignment has changed somewhat — indeed, tuberculosis is certainly no longer one of the primary functions — but the basic mission has not: to provide important healthcare services to veterans. Overall, there has been an ongoing transformation from mostly inpatient care to a mix of inpatient and outpatient, with a continued focus on behavioral-health services. “We’re more of a managed-care facility now,” said Andrew McMahon, associate director of the facility, adding that the hospital provides services ranging from gerontology to extended care and rehabilitation; from behavioral-health services to primary care; from pharmacy to nutrition and food services. Individual programs range from MOVE!, a weight-management program for veterans, to services designed specifically for women veterans, including reproductive services and comprehensive primary care. Andrew McMahon says the VA facility in Leeds is undergoing a massive renovation and modernization initiative scheduled to be completed by the 100th anniversary in 2024. “When this facility was established, the mission of the VA was much different than it is today,” McMahon told BusinessWest. “We were a stand-alone campus in a rural part of the state that had 1,000 beds and where veterans went for the rest of their lives. Elaborating, he said that, as the 100th anniversary of the Leeds facility in 2024 approaches, the hospital is in the midst of a large, multi-faceted expansion and renovation project designed to maximize its existing facilities and enable it to continue in its role as a “place of mental-health excellence for all of New England,” as McMahon put it, and also a center for geriatric care and administration of the broad VA Central Western Massachusetts Healthcare System. 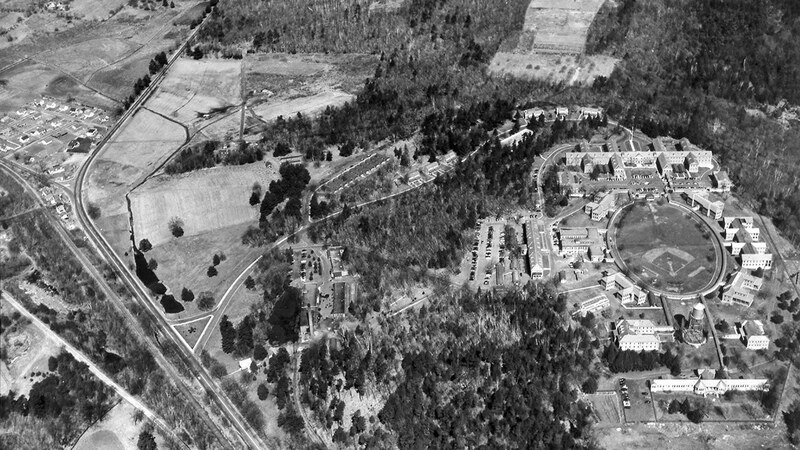 By the 100th-birthday celebration, more than $100 million will have been invested in the campus, known colloquially as ‘the Hill,’ or Bear Hill (yes, black bears can be seen wandering the grounds now and then), said McMahon, adding that an ongoing evolution of the campus will continue into the next century. 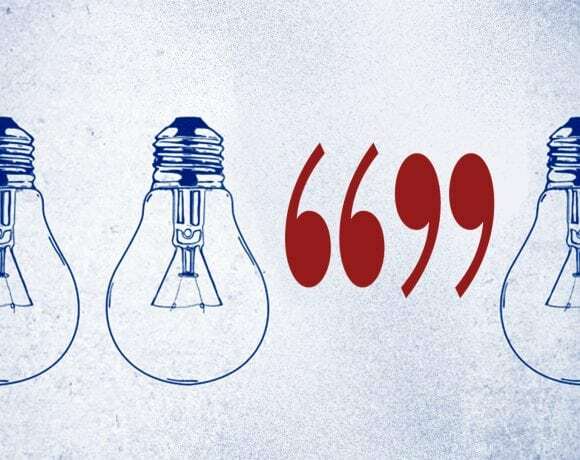 Round-number anniversaries — and those not quite so round, like this year’s 95th — provide an opportunity to pause, reflect, look back, and also look ahead. And for this issue, BusinessWest asked McMahon and Tatro to do just that. 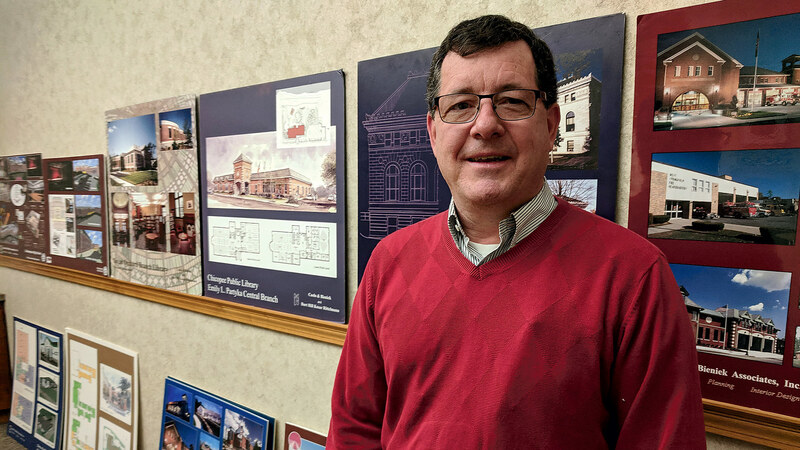 Tatro told BusinessWest that, with the centennial looming, administrators at the hospital have issued a call for memorabilia related to the facility’s first 100 years of operation. The request, in the form of a flyer mailed to a host of constituencies, coincides with plans to convert one of the old residential buildings erected on the complex (specifically the one that the hospital directors lived in) into a museum. The flyer states that, in addition to old photographs, those conducting this search are looking for some specific objects, such as items from the old VA marching band, including uniforms and instruments; anything to do with the VA baseball team, known, appropriately enough, as the Hilltoppers, who played on a diamond in the center of the campus visible in aerial photos of the hospital; any of the eight ornate lanterns that graced the grounds; toys made by the veterans who lived and were cared for at the facility; copies of the different newspapers printed at the site, including the first one, the Summit Observer; and more. Collectively, these requested items speak to how the VA hospital was — and still is — more than a cluster of buildings at the top of a hill; it was and is a community. The oval at the VA complex has seen a good deal of change over the years. Current initiatives involve bringing more specialty care facilities to that cluster of buildings, bringing additional convenience to veterans. “It was like a town or a city,” said Tatro, noting that the original campus was nearly three times as large as it is now, and many administrators not only worked there but lived there as well. “There was a pig farm, veterans grew their own food, there were minstrel shows, a marching band, a radio station … it really was a community. This ‘community’ look and feel has prevailed, by and large, since the facility opened to considerable fanfare that May day in 1924. Calvin Coolidge, who by then was president (Harding died in office in 1923) was not in attendance, but many luminaries were, including Gen. Frank Hines, director of the U.S. Veterans Bureau. 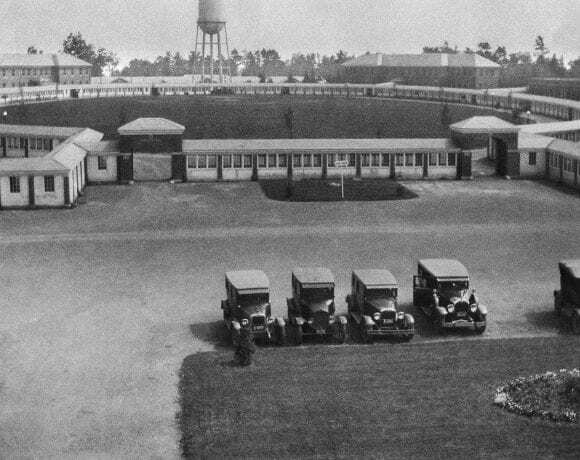 The facility was one of 19 built in the years after World War I to care for the veterans injured, physically or mentally, by that conflict, said Gordon, adding that the need for such hospitals was acute. That ‘something’ was the Langley bill — actually, there were two Langley bills — that appropriated funds to build hospitals across the country and absorb the public health-service hospitals into the Veterans Bureau Assoc. The site in Leeds was one of many considered for a facility to serve this region, including a tissue-making mill in Becket, said Tatro, but, as he mentioned, the birthplace of the sitting vice president ultimately played a large role in where the steam shovels were sent. And those shovels eventually took roughly 12 feet off the top of the top of the hill and pushed it over the side, he told BusinessWest. As noted earlier, the facility specialized in treating veterans suffering from tuberculosis and mental disorders, especially shell shock, or what is now known as post-traumatic stress disorder (PTSD). 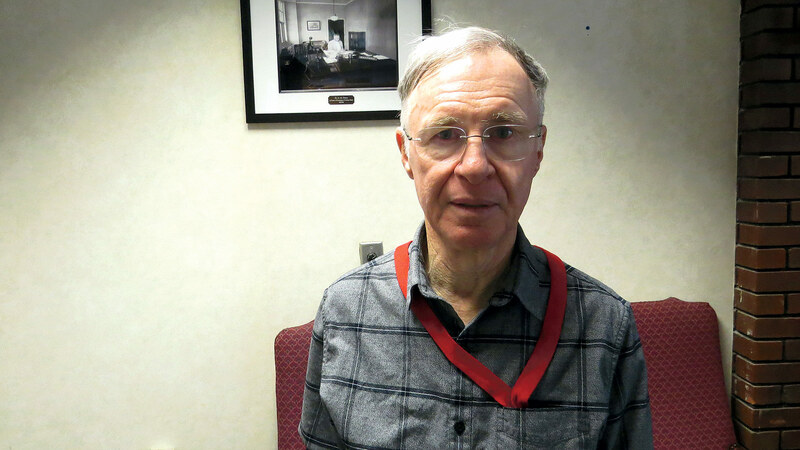 In the early years, there were 300 to 500 veterans essentially living in the wards of the hospital, with those numbers climbing to well over 1,000 just after World War II, said Tatro. Gordon Tatro, the unofficial historian at the VA hospital, says the facility is not merely a collection of buildings on a hill, but a community. With tuberculosis patients, those providing care tried to keep their patients active and moving with a range of sports and games ranging from bowling to swimming to fishing in ponds stocked by a local sportsman’s club, or so Tatro has learned through his research. As for those with mental-health disorders, Tatro said, in the decades just after the hospital was built, little was known about how to treat those with conditions such as shell shock, depression, and schizophrenia, and thus there was research, experimentation, and learning. This added up to what would have to be considered, in retrospect, one of the darker periods in the facility’s history, when pre-frontal lobotomies and electric-shock therapy was used to help treat veterans, a practice that was halted in the late ’40s or early ’50s, he said, adding that this is one period he is still researching. 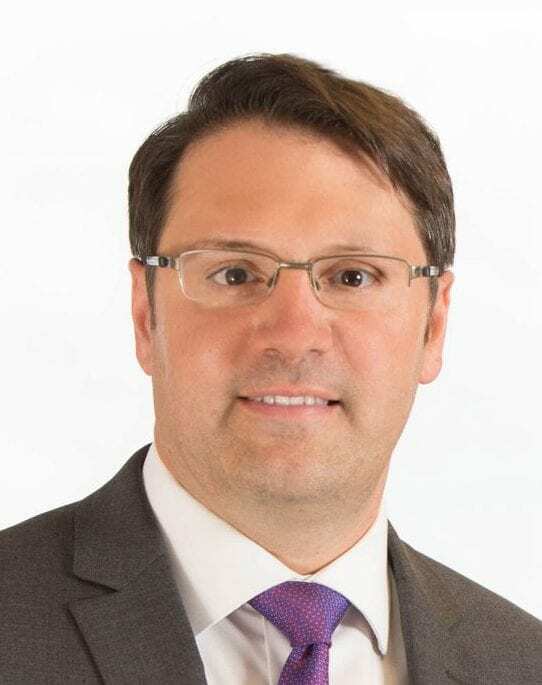 Over the past several decades, there has been a slow and ongoing shift from inpatient care to outpatient care, said McMahon, who, in his role as associate director, is chief of all operations. He added that there are still inpatient wards at the hospital, and it retains its role as the primary regional provider of mental-health services for veterans. 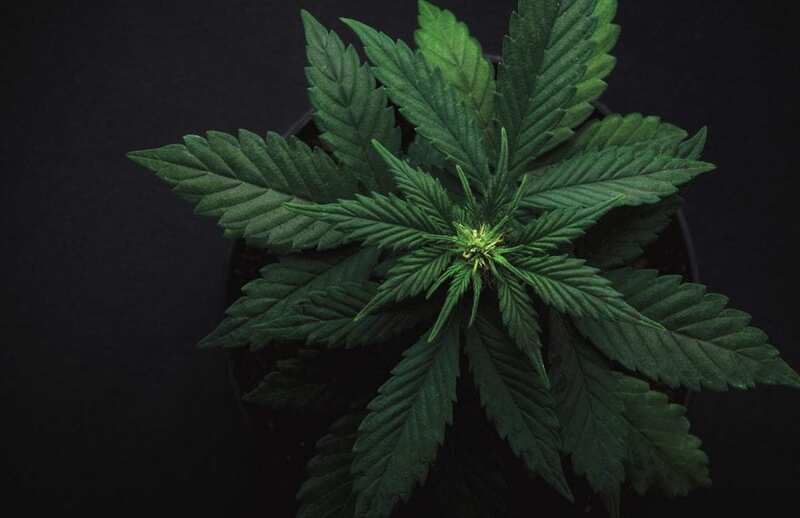 But there is now a much broader array of services provided at the facility, and for a constituency that includes a few World War II and Korean War veterans, but is now dominated by Vietnam-era vets and those who served in both Gulf wars. Overall, more than 28,000 individuals receive care through the system, which, as noted, includes both Central and Western Mass. and eight clinics across that broad area. The system measures ‘encounters’ — individual visits to a clinic — and there were more than 350,000 encounters last year. The reasons for such visits varied, but collectively they speak to how the hospital in Leeds has evolved over the years while remaining true to its original mission, said McMahon. McMahon, an Air Force veteran, said he’s been with the VA hospital for more than seven years now after a stint at Northampton-based defense contractor Kollmorgen. He saw it is a chance to take his career in a different, more meaningful direction. That mission has always been to provide quality care to those who have served, and today, as noted, the mission is evolving. So is the campus itself, he said, adding that ongoing work is aimed at maximizing resources and modernizing facilities, but also preserving the original look of the campus. Current projects include renovation of what’s known as Building 9, vacant for roughly 15 years, into a new inpatient PTSD facility, with those services being moved from Building 8, an initiative started more than two years ago and now nearing its conclusion. The new facility will be larger and will enable the VA hospital to extend PTSD care to women through the creation of a dedicated ward for that constituency. Meanwhile, another ongoing project involves renovation of a portion of Building 4. That initiative includes creation of a new specialty-care floor, a $6 million project that will include optometry clinics, podiatry services, cardiology, and more. Set to move off the drawing board is another major initiative, a $15 million project to renovate long-vacant Building 20 and move a host of administrative offices into that facility, leaving essentially the entire ‘Hill’ complex for patient care and mental-health services. “We’re going to get HR, engineering, and other administrative offices down to Building 20 and expand our mental-health facilities around the oval,” McMahon said, referring to the cluster of buildings in the center of the campus. “There’s $40 million in construction going on at present, and by the end the this year, we expect that number to be closer to $60 million. That includes the planned museum. The search goes on for items to be displayed in that facility, said Tatro, adding that he and others are working to assemble a collection that will tell the whole story of this remarkable medical facility that became a community. Tatro told BusinessWest he’s been doing extensive research on the history of the Hill since he retired several years ago. He’s put together thick binders of photographs and newspaper clippings — there’s one with stories just from the Gazette that’s half a foot thick — as well as some smaller booklets on individual subjects and personalities. Including one Cedric (Sandy) Bevis. There’s a memorial stone erected to him in what’s known as Overlook Park, created with the help of that 12 feet of earth scraped off the top of the hill. Tatro found it while out on one of his many walks over the grounds, and commenced trying to find out who Bevis was (he died in 1981) and why there was a stone erected in his honor. But no one seemed to know. So Tatro commenced digging and found out that Bevis was a Marine officer who served in Vietnam as a helicopter pilot. He had been shot down more than once but survived. After attaining the rank of lieutenant colonel, he left the service in June 1971, married, and settled in the Florence area. As a Marine Reservist, he got involved with a Vietnam veterans organization called ComVets (short for Combat Veterans) at the VA Hospital and was elected its first president. 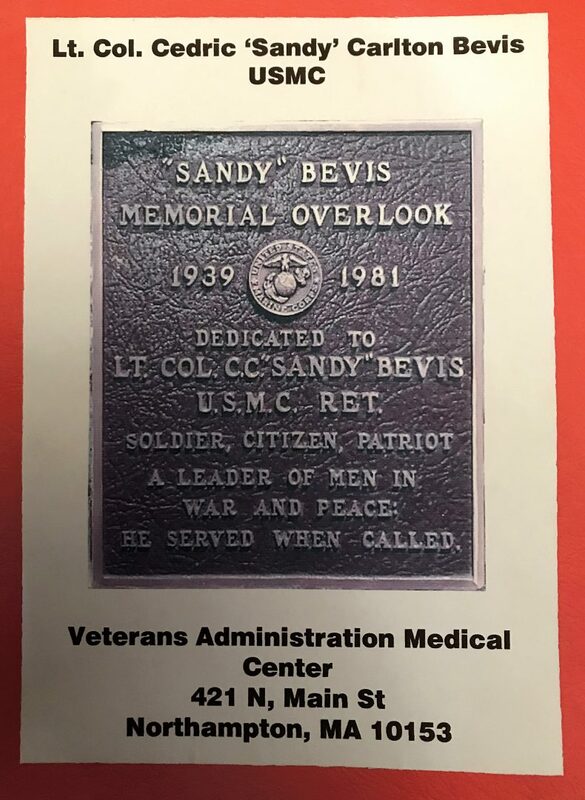 “He was honored for his impact on other Marines who were part of ComVets, and they initiated and obtained a plaque for him,” said Tatro, adding that the saga of Sandy Bevis is one of thousands of individual stories written over the past 95 years. And those at the VA facility are going about the process of writing thousands more. 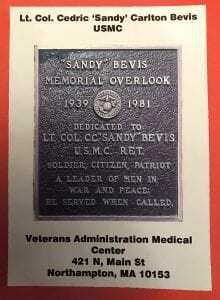 The last line on Bevis’ plaque reads, “He served when called.” So did all those all others who have come to the Hill since the gates opened in 1924. That’s why it was built, and that’s why it’s readying itself for a second century of service. 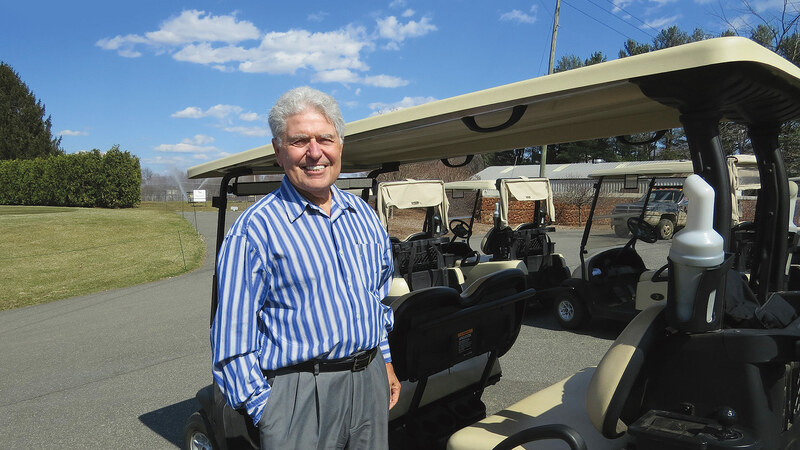 Attilio Cardaropoli displays one of the new four-passenger carts at Twin Hills Country Club, one of many steps taken to make the game more enjoyable. That was the social-media phenomenon that started in early January and fizzled out … maybe in mid-January. You remember. Everyone was posting photos of themselves from then and now in an effort to judge who fared best over the ensuing decade. People did it. Internet companies did it. If Twin Hills Country Club in Longmeadow did it, it would certainly have fared well against like facilities. Indeed, a decade ago, it was almost a casualty of a changing golf business and a new subdivision in a town that hadn’t seen one built in decades. But Attilio Cardaropoli, a Twin Hills member who thought the club’s day hadn’t yet come, bought it and commenced writing a remarkable turnaround story. There were 85 members when he acquired it; now there are north of 300, and the number is holding steady. Back then, the course was tired and needed a facelift; same for the clubhouse. He’s done all that work and continues to make improvements every year inside and out, a formula that is certainly working. But not many golf operations would have fared nearly as well with the 10-year challenge. The past decade has been a continuation of challenging times that peaked with the Great Recession and improved only slightly in the intervening years. The story has been told many times. It’s about a falling level of interest in the game, especially among young people, families putting their time and money into avenues that don’t include the local country club, some closures among the area’s large roster of courses, and intense competition among the courses that remain for a shrinking pool of golfers. And then, in the summer and fall of 2018, the story got even worse, as seemingly relentless rain, a lot of it coming on all-important weekends, erased days from the calendar, robbing clubs of revenue they couldn’t recover. 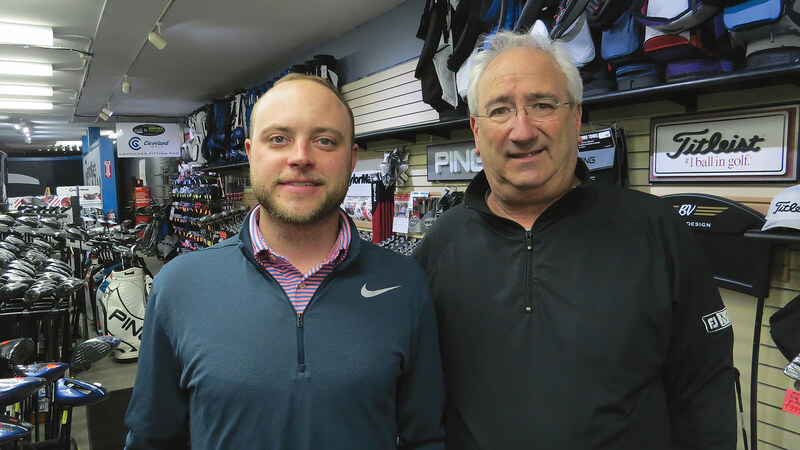 Dave DiRico, seen here with his son-in-law, Drew Michael, says both public and private courses must be diverse operations with a number of revenue streams. 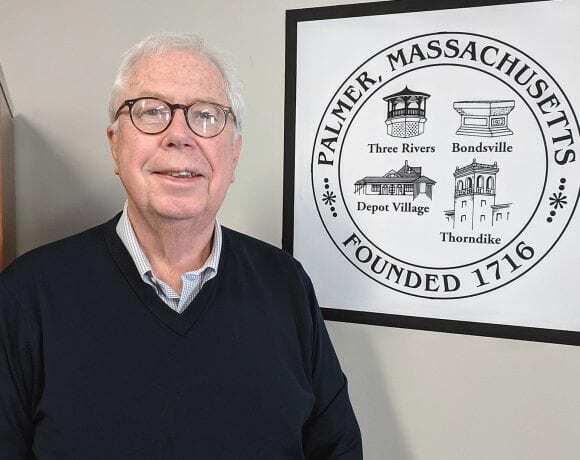 “We had nine rainouts on Tuesdays, and it rained quite a few Saturdays and Sundays, too,” said Ryan Hall, head pro at Springfield’s two municipal courses, Franconia and Veterans, referring to both leagues and daily-fee golf. And with such washouts, a club loses more than greens fees — there’s also cart rentals and food and beverage. “And people aren’t going to go out and play twice as much the next week,” said Hall, adding that this revenue is essentially lost. As the 2019 season commences — thankfully early for the clubs able and willing to welcome players in early April or even late March — many challenges remain, said Hall and others we spoke with, but so does a high level of determination to find solutions to the current problems in the golf industry. Some of them don’t necessarily involve golf, although they relate back to it some ways. Indeed, diversification and securing new revenue streams are a huge component of the success formula for any club today, public or private, said those we spoke with. This means everything from the 19th hole — many clubs are redoing them and retooling menus at the same time — to more special events, from Mother’s Day brunches to cruise nights to weddings and banquets. Meanwhile, on the golf side, the driving forces, as always, but especially in this climate, are providing value to existing customers, generating repeat business, and trying to grow the pie by attracting new players, especially when it comes to women and young people. In some respects, Hall said, a large number of people now in their 20s, 30s, and early 40s are not involved with the game because they were not actively introduced to it and encouraged to play it. The industry seems intent on not making this same mistake with today’s young people. Indeed, it is being more aggressive in getting them on the course through programs like the PGA Junior League, which creates teams of young people who practice together and play against teams from other area courses in an effort to introduce them and ease them into a game they can play into their 90s. 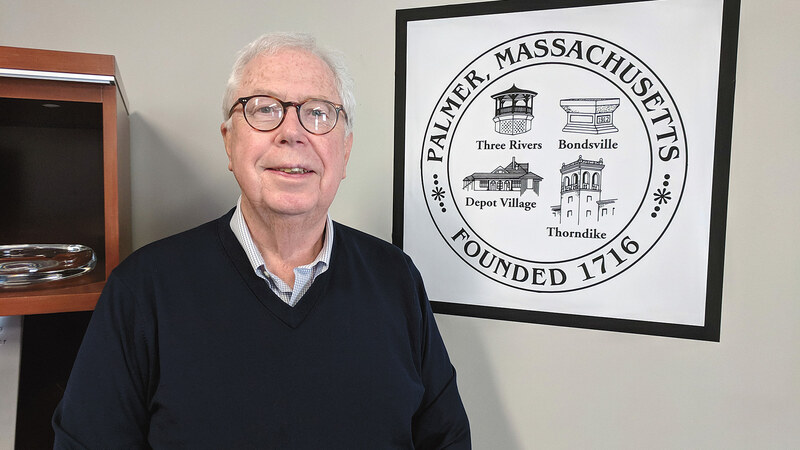 Springfield’s municipal courses have not participated in the program to date, but Hall plans to change that because of the program’s proven success in generating enthusiasm for the game. 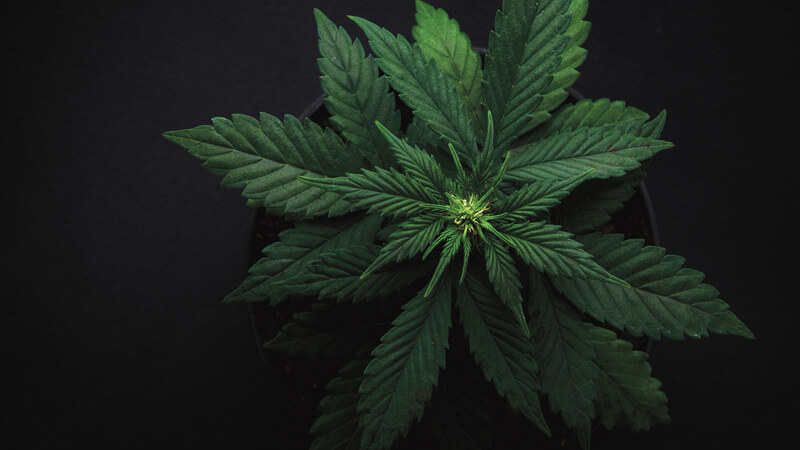 For this issue and its focus on sports and leisure, BusinessWest talked with a number of area club owners and operators and pros to gauge what the 2019 season holds. In most all respects, it holds more of what’s been seen over the past decade, which means still more grinding things out. As he offered BusinessWest a quick tour of Twin Hills to highlight the latest changes and improvements, Cardaropoli stopped by the first tee. There, he asked one of the attendants to bring around one of the new four-passenger golf carts the club put into operation last year. The majority of the club’s golfers make a point of walking, he noted with a discernable dose of pride, adding quickly that, for those who want or need a lift, the new carts have proven to be quite popular, especially with young families. “Dad can go out with two or three kids, and they can all ride together,” he said, adding that, while this was the constituency everyone had in mind when the carts were ordered, others have taken a liking to them as well. Ryan Hall says it’s imperative for those in the golf business to grow the market by encouraging young people to take up the game. “Older members are saying that this is a way they can be more sociable — they like them, too,” said Cardaropoli, adding that they are also popular with some playing in the many charitable tournaments hosted by the club, especially those where pace of play is generally slow and four people driving around in the same cart hunting down golf balls won’t slow things down any further. In many ways, these four-passenger carts are an example of how Twin Hills, and all clubs, are reacting to changing forces around them. They’re responding with strategies to perhaps bring more people into the game and also make it more enjoyable. And it’s all necessary because, unlike 20 years ago, as Tigermania was sweeping the country and clubs merely had to open the register and point to the first tee, now they have to work at it — and work pretty hard. Assessing the situation, Dave DiRico, owner of DiRico’s Golf & Racquet in West Springfield, a course pro for more than 30 years, and a close observer of the region’s golf market (for obvious reasons), said the laws of supply and demand have certainly caught up with the golf industry — nationally and also locally. In short, there’s more supply than current levels of demand would dictate. That’s great for people looking for tee times, but not for course owners facing ever-climbing expenses for everything from personnel to fertilizer and an ultra-competitive market where raising prices is essentially not an option. All this has led to a thinning of the herd. In late 2017, Southwick Country Club was sold to a residential real-estate developer, and houses are now taking shape along the old fairways. And in Amherst, Hickory Ridge Country Club has closed and will become a solar farm. These developments certainly benefit the courses remaining in those respective areas, said DiRico, noting that Agawam’s four public courses, Wesfield’s three, and the two remaining in Southwick all picked up some business from the closure of Southwick Country Club. 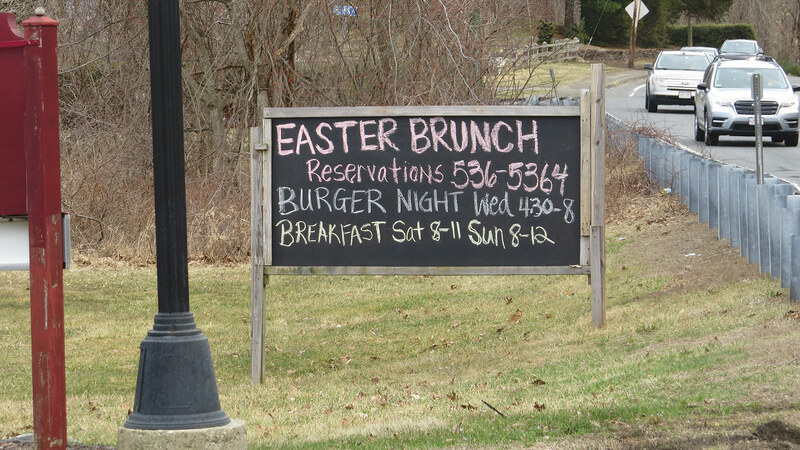 Likewise, remaining courses in Amherst and neighboring Belchertown stand to benefit from Hickory Ridge’s demise. But the market is still saturated with both public and private courses, he went on, adding that, to be successful, operations must focus on the total experience and not just 18 holes — although that’s a big part of it. And they have to put all of their facilities to work generating revenue. This is nothing new, really — it’s always been this way — but in this environment, such diversity takes on heightened importance. “A lot of clubs are doing functions now — weddings, showers, whatever they can book,” said DiRico. “That’s a big part of supplementing their revenue; they need to do those things. Elaborating, he said such amenities enable clubs to book more tournaments because they can handle not only the golf but the networking, dinner, and awards presentation that come after — one-stop shopping that tournament organizers desire, and often demand. Franconia has historically lost some events and been able to handle only the golf side of many tournaments because it didn’t have a facility on site, said Hall, adding that this will change this year with the addition of a large pavilion built late last year. It’s a simple structure that is not enclosed, but still, it will enable tournament organizers to stage a dinner on site, rather than forcing participants to drive to the nearby Elks lodge or an area restaurant. And Hall said he can already see the impact in the number of events he’s booking this offseason. Looking back on his first 10 years of ownership at Twin Hills, Cardaropoli said a number of factors have contributed to the club’s turnaround. He listed everything from some good fortune in the form of some private clubs moving to a semi-private format (Crestview and nearby Elmcrest, for example) and some struggles at other clubs, to strict policies at Twin Hills regarding assessments (there are none) and rate structures — the only real deals are given to long-standing members. 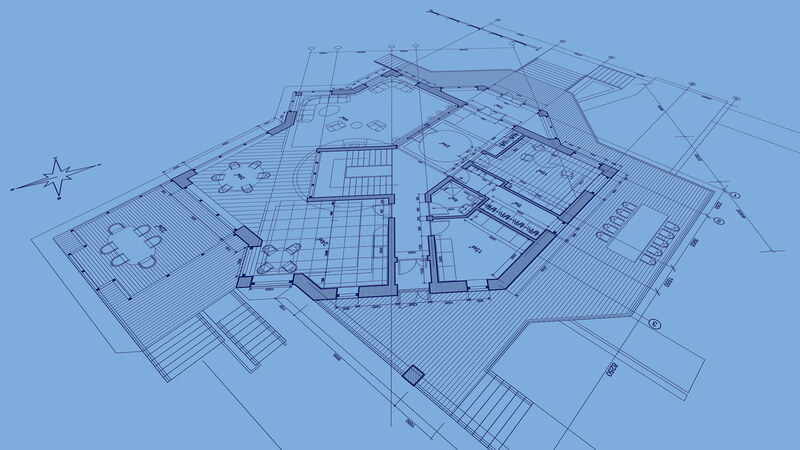 But the real keys have been continuous investments in all aspects of the property, from the course itself to the banquet rooms to other facilities. Like the pool area, which is currently being expanded to create a larger play area for children, said Cardaropoli, who pointed out the ongoing work while offering his tour. Meanwhile, on the course, work will start soon on the second and 11th holes — drainage, bunker work, and more — following improvements made last year to the seventh and eighth holes to enlarge the greens, reposition bunkers, and remove dozens of trees, a step taken to help improve drainage and even speed up play. Ongoing improvements are needed to retain members and attract new ones, he went on, adding that investments in the banquet facilities have also opened the door to additional bookings of weddings and other events, key revenue generators that help enable Twin Hills to avoid the assessments that have plagued other clubs. And while private clubs are a breed apart in the golf industry, a focus on the customer and providing value are needed at all clubs, said DiRico, who noted, again, that the equation must involve more than just golf. But golf is the foundation for most of those other revenue streams, said those we spoke with, so it’s imperative to bring new players into the game. And the obvious focal point is young people, said Hall, adding that the PGA Junior League has enjoyed a great deal of success in this realm. “You take kids and create teams — in Springfield, we could probably have one to three teams of maybe 12 kids — and you give them practice once a week, and then we set up matches against other clubs,” he explained, adding that the team format and scramble mode of play (everyone goes to where the best shot came down and plays from there) help ease people into a game that is in many ways daunting and even scary. 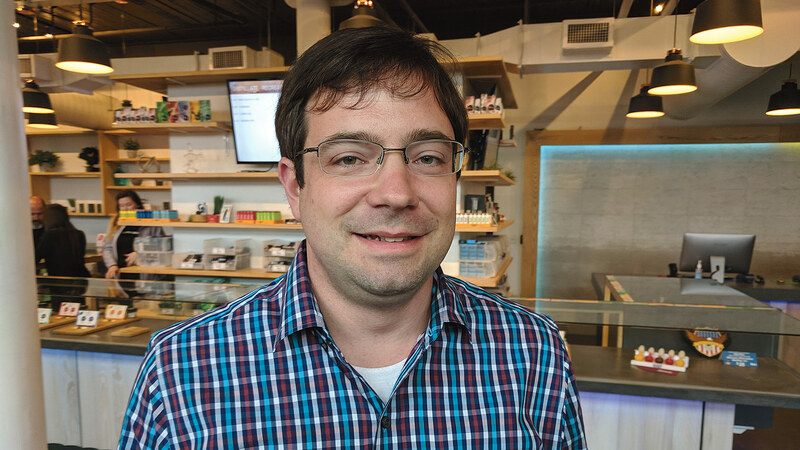 DiRico said that, despite all the rain last year — or maybe in part because of it — he had his best year since he opened his store eight years ago. He theorizes that people who couldn’t play focused at least some of those energies on buying new equipment and accessories for when they could play. It’s just a theory, and he listed several more solid reasons why business was so good in 2018 and the first three months of 2019. These include everything from the store’s fitting services — no one should play clubs off the rack anymore — to the hot new drivers that everyone wants. Whatever the reason, that side of the golf business is apparently holding its own. The rest of it? It’s as challenging as ever, as any club taking the 10-year challenge can attest. Jennifer Connelly, left, and Dawn Creighton display promotional materials for the JA Inspire program’s career-exploration fair set for May 28. Attendees are encouraged, but not required, to come in period dress, a challenge that Jennifer Connelly, executive director of the local JA chapter, met (with considerable help from her daughter) by doing a hard search online that yielded the appropriate dress as well as a headband with a feather. “I’ll have the long gloves and the long cigarette holder — a full outfit; it will be very interesting to see what people come up with to mark the ’20s,” she said with a trace of understatement in her voice. But while the gala will amount to an effort to turn back the clock in many respects, Junior Achievement, and especially its Western Mass. chapter, have been turning the clock forward, focusing on the 2020s — and the decades to follow — with a host of programs that are seemingly far removed from the organization’s original mission to introduce young people to the principles of business — but then again, not very far removed at all. Created by a coalition of education and industry leaders led by JA of Western Mass., this endeavor is designed to introduce young people to industry sectors and careers, and also provide awareness of what skills will be needed to thrive in those settings. At the heart of the initiative is a massive career fair set for May 28 at the MassMutual Center that won’t follow the typical model for such events. Actually, it will, but the audience will be decidedly different. Instead of people looking for jobs they can enter in a few weeks or even a few days, those roaming the aisles will be middle- and high-school students gaining information on jobs they might fill sometime in the next decade. 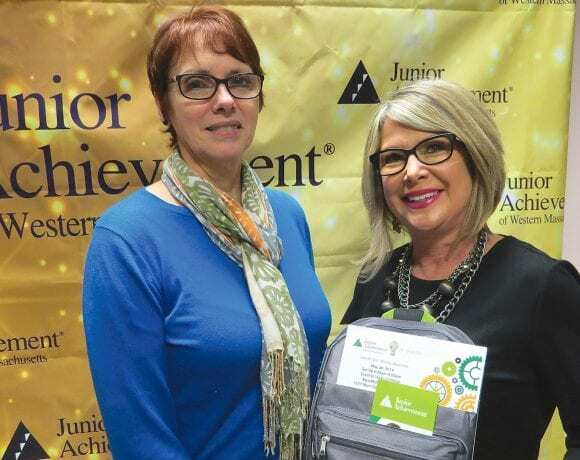 In many respects, JA has always been about identifying and illuminating pathways, and JA Inspire is just one example of how this nonprofit has stayed true to its original mission while also evolving over the years and expanding into programs, 23 of them in all, for students in grades K-12, said Connelly. These programs provide lessons in everything from how government works to how large a slice of one’s paycheck the IRS takes; from how global the global economy truly is to the all-important difference between a ‘want’ and a ‘need’ when it comes to how one spends their money, she said, adding that, to get these messages across, JA relies (as it has throughout its history) on volunteers. 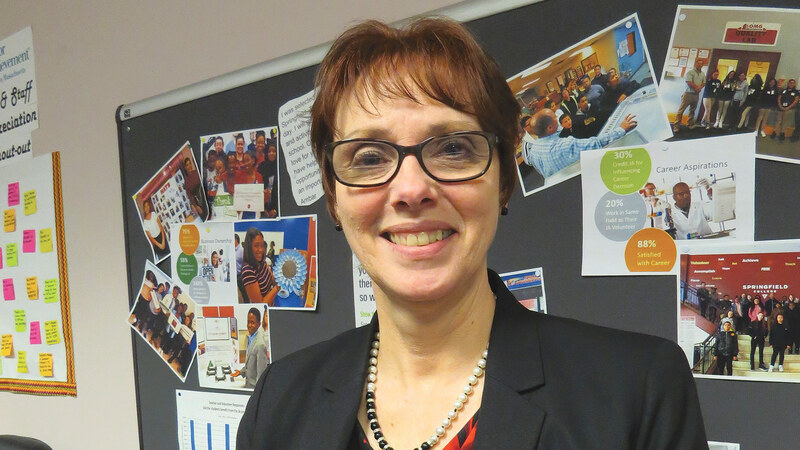 People like Sharon Dufour, chief financial officer at Ludlow-based LUSO Federal Credit Union and a JA volunteer for more than 30 years, 20 of them in this market. 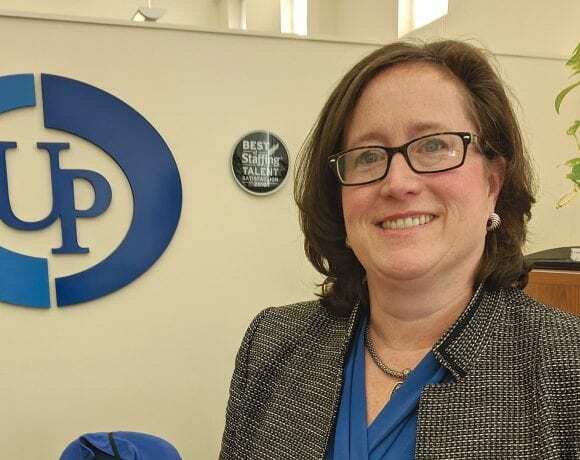 She has been instrumental in bringing JA programs into schools in the Wilbraham/Ludlow area, and also in moving beyond traditional school-banking initiatives — where students learn the basics of banking — and into financial literacy. She’s taught at all levels, including seventh grade and a program called “JA is My Future,” which helps students understand the value of what they’re learning. Julie Ann Pelletier agreed. 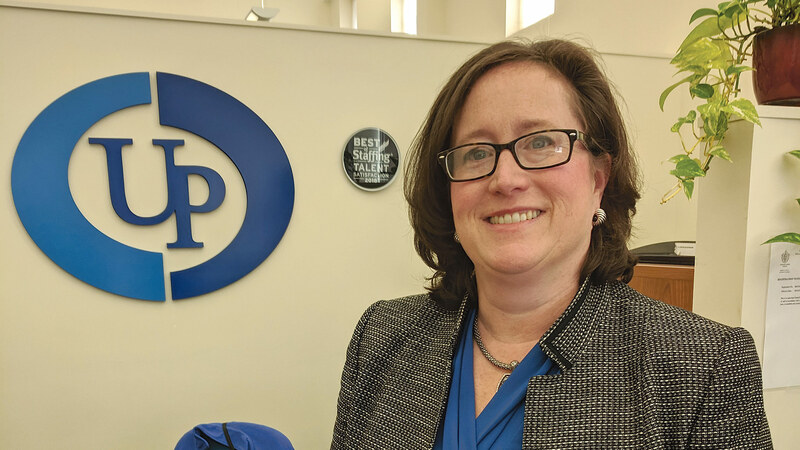 A retired transplant to the Berkshires just over a decade ago, she was looking for volunteer work to take on and certainly found it with JA — she now coordinates the agency’s programs across the Berkshires. One of them is an initiative to promote entrepreneurship in high-school students, for which they needed a product that students could design, make, market, and sell. Pelletier helped inspire one — crocheted hats (she teaches that art). Fast-forwarding, she said she wound up teaching a number of Putnam Vocational Academy students that skill, and a few of them went on to start their own businesses and eventually win business competitions as they moved their ventures forward. “I’m 72, and they’re 17, so they called it ‘Twisting the Generations,’ — it was the old school teaching the new school,” she said, summing up quickly and efficiently what JA, and its volunteers, have been doing for the past century. For this issue and its focus on nonprofits, BusinessWest examines all that JA is celebrating as its marks an important milestone — 100 years of not only teaching young people about business, but preparing them for all that life can throw at them. 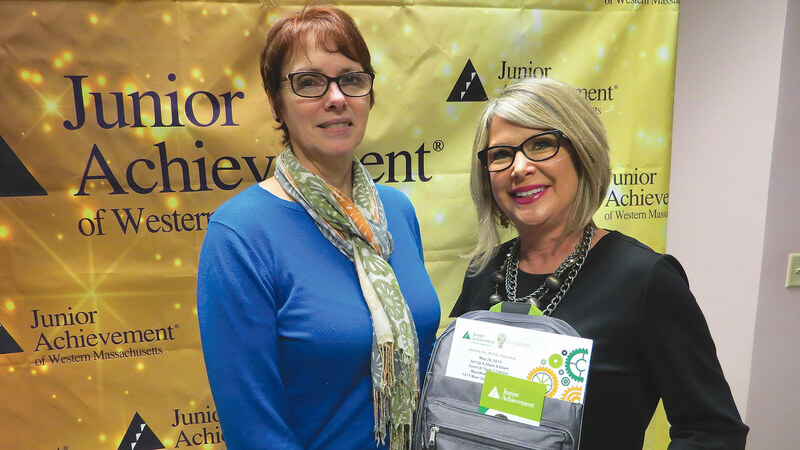 Connelly told BusinessWest that JA’s 100th birthday bash will be a year-long celebration, one that has a number of goals, from honoring the past to raising awareness of its many programs and initiatives in an effort to ensure sustainability. It will be capped, in most respects, by a series of events on Sept. 28, when JA National, as it’s called, which is based in Colorado, will stage JA Day at the Big E, home to the first Junior Achievement building ever erected — funded by Horace Moses, president of Strathmore Paper Co., and one of three men who founded JA in 1919. There will be a parade, speeches, and a dinner, and Connelly is expecting representatives from many of the 107 JA chapters nationwide to be in attendance. Jennifer Connelly says JA has evolved considerably over the past century, but remains true to its original mission. Locally, the immediate focus is on the May 4 gala, to be staged at MGM Springfield, an event expected to draw more than 300 people. The list of attendees includes two descendants of U.S. Sen. Murray Crane of Massachusetts, another of the founders (the third was Theodore Vail, president of AT&T), as well as a representative of Strathmore Paper. So there will be significant ties to the past, said Connelly, adding that the gala will honor the agency’s founders, but also all the change and evolution that has come over the past century, and there has been quite a bit of both, as her quick history lesson shows. A glass display case in the front lobby of the JA’s offices on the second floor of Tower Square holds artifacts that speak to those early days of the company program, everything from ribbons awarded at a competition in the mid-1920s to a wooden lamp built by area high-school students to later sell. (Connelly isn’t sure of the date on that item, but guesses it’s from the mid-’70s. The student-company initiative continues to this day, she said proudly, noting that a number of area high schools run the program after school, during the summer, and as part of the regular school day. Pathfinder Regional High School, for example, has expanded its program to includes a Facebook page, she said, adding that one class is enjoying success with selling a brush designed for pets called Brush It Off. But over the past 30 years or so, JA has taken on a broader role, one certainly in keeping with the founders’ intent, especially within the realm of financial literacy. And that role will likely become deeper still following the passage of a bill in January that allows state education officials to establish standards around financial literacy, which schools could incorporate into their existing curricula in subjects like math, business, and social sciences. The standards will be guidelines, not a mandate, said Connelly, adding that, for those schools who wish to adopt these guidelines, JA could become a partner in helping to bring those lessons home. The agency already provides a wide array of financial-literacy programs to students in grades K-12, she noted, citing, as one example, something called the Credit for Life Fair, staged recently at Elms College, a program created for high-school students. Students essentially choose a field, are given a budget, and are presented a number of options on how to spend their money — from investments to essentials like housing, a car, and groceries, as well as ‘fun’ items. They then visit with a credit counselor to review their choices and discuss the consequences of each one. While JA is providing young people with a look at life in a chosen profession through these Credit for Life programs — well, sort of — it is also introducing them to industry sectors, career paths, and specific jobs through initiatives like the JA Inspire program and the aforementioned event at the MassMutual Center. The formal name of that gathering is the Inspire Career Exploration Fair, and that’s appropriate, because that’s what the attendees will be doing — exploring. And while they’re doing that, area employers might be getting some help with the biggest problem they face these days — securing a workforce for the future. The career-exploration fair was conceived to help ensure that the next generation of workers is more ready, she went on, by not just introducing young people to career possibilities they may or may not have known about, but also spell out for them what it will take to land such a position in terms of skills and education. And that’s why the event has caught the attention of businesses in several sectors, from manufacturing to healthcare to financial services, and from every corner of the 413, said Creighton, adding that all see a chance to open some eyes. 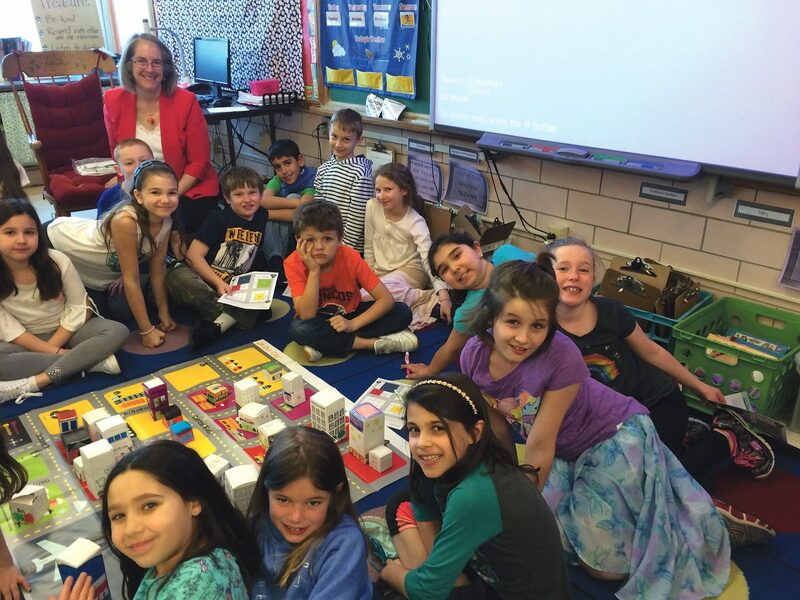 Sharon Dufour, long-time volunteer with JA, is seen here with third-graders as she provides lessons about zoning and building a city. Thus, the fair, as noted, is an example of how JA’s mission has evolved and the agency has moved beyond the classroom in many respects. But area schools are where most of JA’s life lessons are delivered, a tradition that began a century ago and continues today through the work of teachers and especially volunteers. Dufour has worked to recruit them for years and said more are always needed to help JA reach more young people. Pelletier agreed, and said the rewards from volunteering come in many flavors, especially the satisfaction that comes from seeing a light go on in a young person’s eyes as they realize their potential to take an idea or a skill (like crocheting) and run with it. Theodore Vail spoke those words a century or so ago when JA was in its infancy. But they certainly ring true today, especially that part about habits being formed in youth. Helping young people develop the right habits has been JA’s informal mission for 100 years now. There are now more ways in which in that mission is being carried out, but it’s still about pathways and putting people on the right ones. And that’s a proud history worth celebrating. Joan Quinn, coordinator of the Wig Boutique at the Cancer House of Hope in West Springfield. When a cancer patient goes through chemotherapy treatment, feelings of nausea, fatigue, and hair loss are all common physical reactions. For women, loss of hair often adds an emotional element of humiliation and shame. 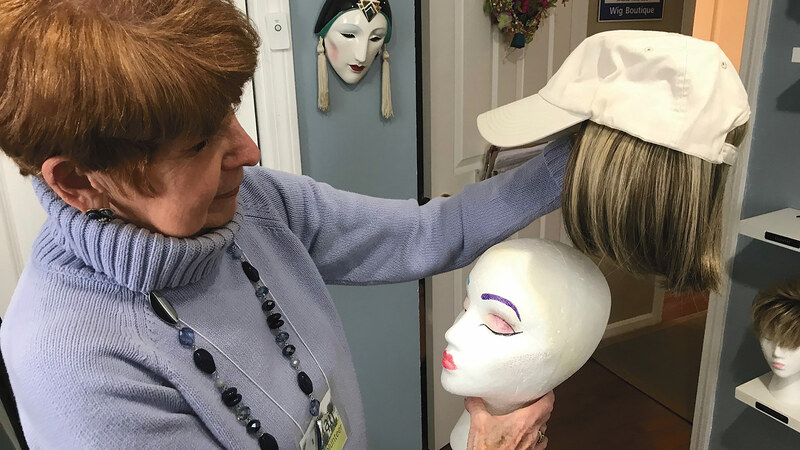 “I don’t call it hair loss; I call it hair interruption,” said Joan Quinn, coordinator for the Wig Boutique at the Cancer House of Hope (CHH) in West Springfield, who sees her mission as helping women look good and feel better about themselves while their hair grows back. And she is passionate about her work, as will become abundantly clear. The Center for Human Development (CHD) runs the Cancer House of Hope as a free community resource to provide comfort and support in a home-like atmosphere for anyone going through cancer treatment. Yoga classes and Reiki massage are among the many services offered there. As for wigs … Joseph Kane, former director of the Cancer House of Hope (he left that position for another opportunity earlier this month), admits that, while they’ve always been available, they were often treated as an afterthought. “If someone asked for a wig, we’d pull one out of a plastic tub, and it usually looked like it had bed head; it wasn’t ideal,” he said, adding that this important service has come a long way in recent years thanks to Quinn, who not only provided the drive to create and stock a boutique where there was none, but also staff it with volunteers, maintain a steady inventory, and raise needed funding to keep the operation thriving. Our story begins with a visit to CHH by one of Quinn’s neighbors, who left her tour thinking that the wig service, such as it was, needed serious help, and that Quinn, a cosmetology-field veteran of more than 50 years who spent 26 years teaching the subject at Springfield Technical Community College, was just the person to provide that help. She did, and this was, coincidentally, after an answered prayer left her looking for a way to give back — and in a big way. Her son did receive a transplant and is healthy today. Feeling that she now had to deliver on her promise, Quinn had no idea how she could help the American Heart Assoc. But when the need for a better wig situation presented itself at CHH, she knew immediately she could make a difference. And she has. 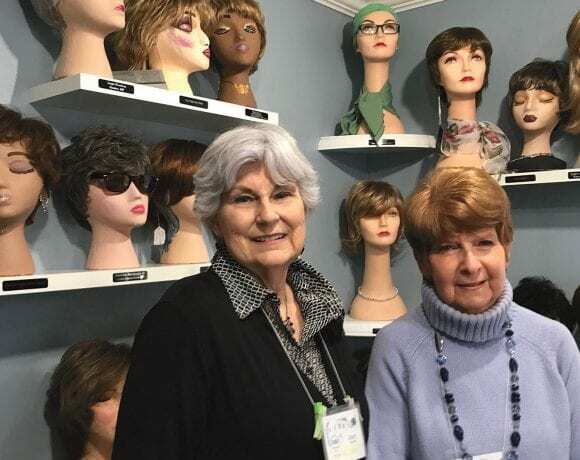 Now in operation for more than three years, the Wig Boutique is currently booking appointments five days a week with three volunteer consultants. Quinn estimates the facility has provided more than 300 wigs for cancer patients since opening. 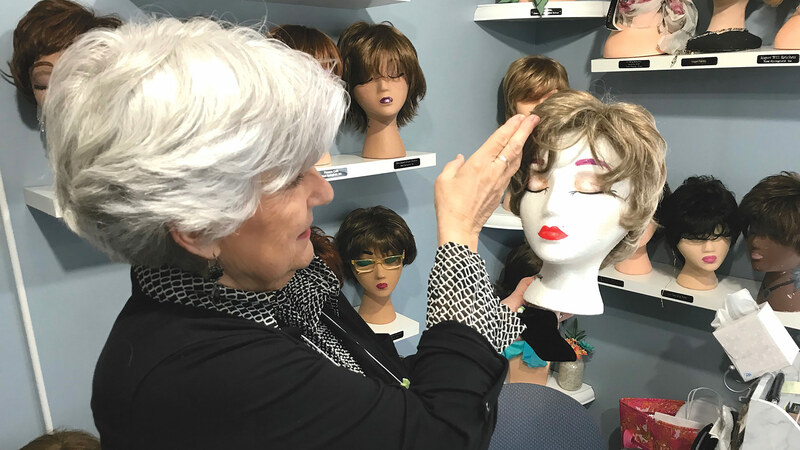 For this issue and its focus on healthcare, BusinessWest explores how the Wig Boutique came to be and why the services it provides are so important to women battling cancer. As she retold the story of how the boutique was launched, Quinn noted that, under some health-insurance plans, cancer patients can purchase a wig and get reimbursed after the fact. In order to be covered under MassHealth, cancer patients must travel to its contracted wig provider located in Worcester. When Kane learned that three wig providers in the area went out of business, the thought of a dedicated wig program began to sound like a viable idea. “When I met Joan, she had a vision to make the wig boutique feel like a higher-end service,” Kane said. Likewise, Quinn credits Kane for what she called his “blind faith” that she could convert one of the rooms in the Cancer House of Hope into a boutique on a zero budget. Volunteer Jan D’Orazio in the Wig Boutique. Before she even had shelves, Quinn approached local businesses and asked them to sponsor $20 shelf tags to be placed in front of each displayed wig. In a short time, she raised enough to pay for the building materials. 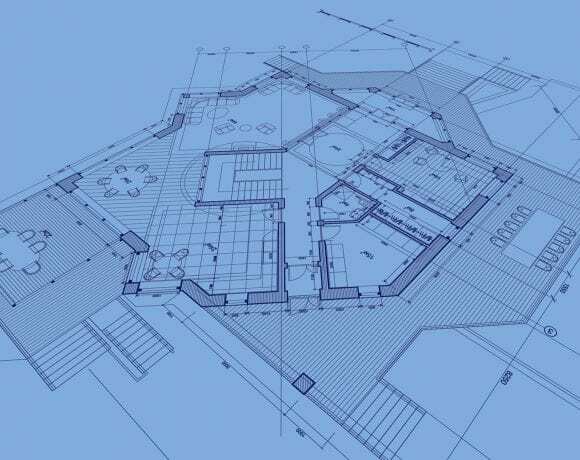 While planning the design of the room at the Home Depot, Quinn lamented that she had enough money for materials but not enough to cover labor. The Home Depot associate told her about a program the store sponsors where it would pay for the labor as a donation, a big step toward executing Quinn’s vision. The finished room resembles a true boutique, displaying 59 wigs under clean lighting with a fitting chair and a full-length mirror. Kane said the boutique provides a unique experience for cancer patients. When women first come in for a consultation, Quinn said, they are often reliving the horror of having cancer and confronting the reality of their hair falling out. She added that the dozens of wigs displayed in the room help to shift the women’s focus away from themselves and onto which style of wig they might want. “Current wig styles change quickly, so we’re always looking for new styles and quality wigs,” she noted, adding that she approached Sally’s Beauty Supply in West Springfield and left her name on a piece of paper to call if they ever had wigs they wanted to donate. 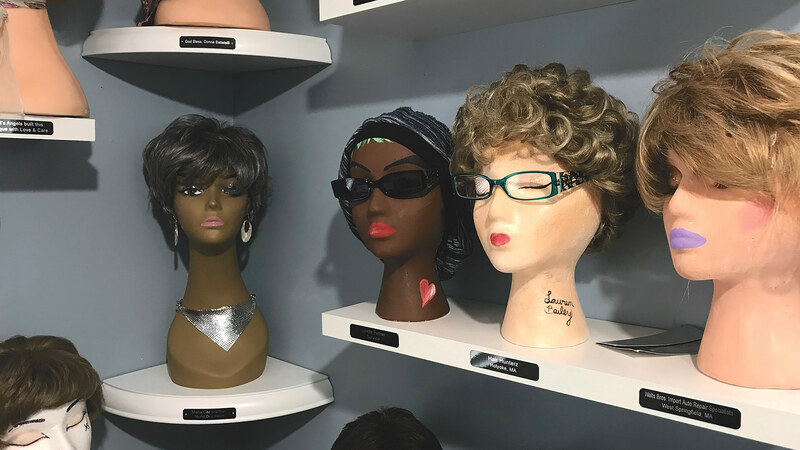 The manager of Sally’s happened to pin Quinn’s contact information on a bulletin board, and one day, when the company discontinued its line of high-end wigs, Quinn got the call and filled two shopping carts with donated wigs. In addition to local donations, CHH receives wig and accessory donations from as far away as North Carolina and California. Quinn told BusinessWest she is grateful for her network of volunteers and professionals, whom she refers to as her “angels.” She works with many salons in the area whose owners are often former students. Quinn approached salons with a fundraising idea for the Wig Boutique called “Hang Cancer Out to Dry,” consisting of a small, desk-sized clothesline where customers can attach cash donations with miniature clothespins. “In its first 17 months, this effort has raised more than $10,000,” Quinn said, adding that it’s not unusual for a salon owner to raise $300 from customer donations and then match it with a $300 donation of their own. While Quinn pursues donations with great drive and enthusiasm, she also goes after volunteers the same way. Jan D’Orazio was shopping for Christmas decorations at Michael’s when Quinn approached her and asked if she was a hairdresser. D’Orazio replied that many years ago she was, but hadn’t done it in a long time. D’Orazio said one of the most rewarding parts of working at the Wig Boutique is seeing her clients change in demeanor. She said many women who come in are feeling down and have what she described as a “cancer look.” The consultation helps to brighten their day and change their whole outlook. Those sentiments speak to how the boutique is providing not only hair and a certain look, but a chance for women to feel better about themselves as they confront perhaps the most difficult time in their lives. Thus, it’s changing lives in a profound way. 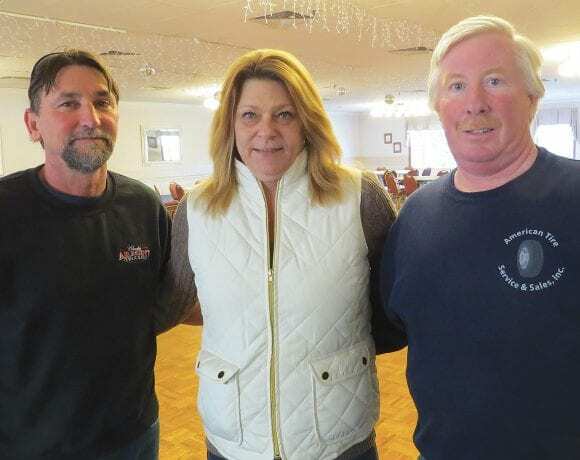 From left, Charlie Arment and Elizabeth and Bob VanZandt stand in the main ballroom at Wyckoff Country Club, one of its many facilities that have undergone a facelift. 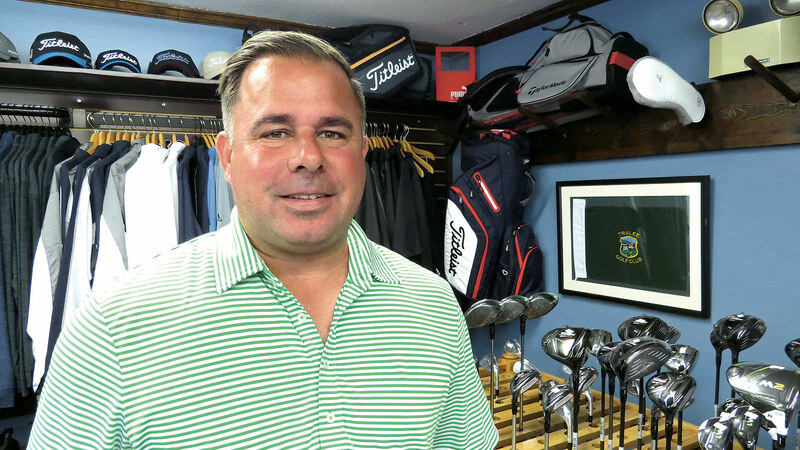 None of the members of the new ownership team at Wyckoff Country Club in Holyoke had spent any time on the golf course — or in the golf business — prior to their acquisition earlier this year. But they did know a few things about what they were getting into. Actually, more than a few. They knew how to run a business — Bob VanZandt Sr. has operated American Tire Sales & Service in Springfield for nearly 40 years, and Charlie Arment has been at the helm of Charlie Arment Trucking in Springfield, a 65-year-old family business, since 1978. Beyond that, well, they knew that there was still some history to be written at Wyckoff, originally known as Mount Tom Country Club, a Donald Ross design that has seen many changes over the decades and, like most all clubs, has suffered greatly in recent years as interest in the game has waned. 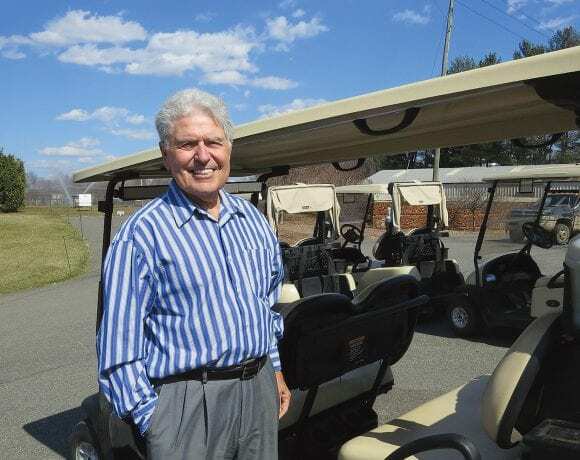 Most importantly, the new owners — VanZandt and his wife, Elizabeth, and Arment and his brother, William — who acquired the property from long-time owner Clarence “Clarky” Wojtowicz, understood that the golf business isn’t really the golf business anymore. Instead, it’s the entertainment and hospitality business, with golf as a big part of the equation, and they believe that Wyckoff, after some renovations and additions to the landscape, could certainly thrive in that environment. But it’s a package that needed some work, to be sure, and the new owners are supplementing their original purchase of the property — roughly 120 acres in total —with additional investments in both the course and, especially, the clubhouse, in an effort to capitalize on what they consider an attractive location (just off I-91 roughly halfway between Springfield and Northampton) and a solid foundation on which to build. Elaborating, VanZandt said the course — altered significantly by the construction of I-91 in the mid-’60s — is a hidden gem to many but certainly appreciated by members. Meanwhile, the main banquet facility is one of the largest in the region and can seat 470 for weddings and other events. Describing the work done inside to date, VanZandt and Arment said it involves modernizing and improving many of the facilities while also making some needed additions. Regarding the former, VanZandt started with a reference to a hallway on the lower level. “This was all covered with green wallpaper — I think it was from the ’80s, but it might have been the ’60s; I’m not sure. Anyway, it needed to go,” he said, pointing to the bright white paint on the wall. Meanwhile, a major renovation of the smaller, lower-level banquet room is underway, replacing wood paneling from several decades ago with a much more modern look. And just off a 19th hole that has been given a minor facelift, work is set to begin on a large patio that will be used by members and event attendees alike. 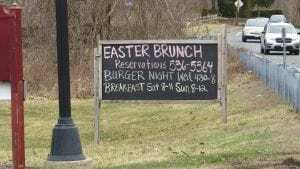 There are a number of events, said Elizabeth VanZandt, referring to everything from a recent St. Patrick’s Day dinner to planned brunches on Easter and Mother’s Day; from a Friday-night winter concert series to a tradition at Wyckoff known simply as ‘Wednesday Burger Night,’ a name that tells you all you need to know. Bob VanZandt and Charlie Arment stand near a new patio that will soon be built at Wyckoff. A sign of the times — literally; clubs like Wyckoff are now hosting a number of non-golf events to maximize revenues from their various facilities. Meanwhile, on the course, Charlie Arment Trucking, which has done work on several area golf courses, has started on a number of projects at Wyckoff. Plans call for repairing sand traps, cleaning up ponds, renovating cart paths, clearing overgrown brush and trees, and restoring the ‘Wyckoff Country Club’ sign visible from I-91. “The course was in pretty tough shape, but we’ve had people out cleaning it and getting it ready,” said Arment, adding that, while there was a soft opening in late March, the course will not be officially open until the end of this month, with the first tournaments scheduled for early May. Summing up their plans, the new owners said they plan to continue things as they have been for the past 60 years or so — but, as noted, also make some much-needed improvements and additions. 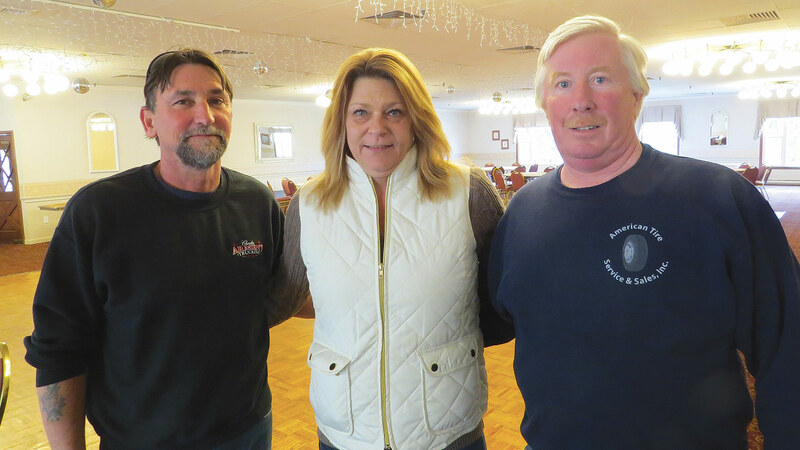 They knew considerable work was needed, but wanted to hear from members about what they thought, and received generous amounts of feedback at a meeting early this past winter. 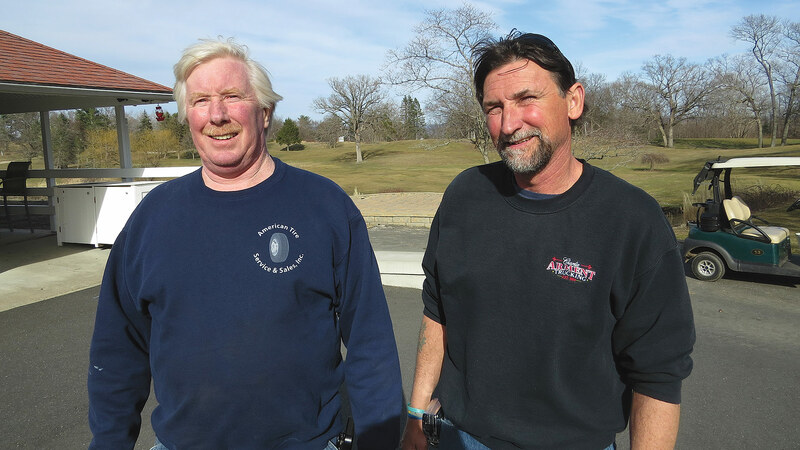 “We asked them what they wanted, and we’re fulfilling what they wanted, and that’s what bringing membership back up,” said VanZandt, adding that the list of requests included everything from much-needed work on the sand traps to new lighting and carpeting in the 19th hole. Moving forward, the new owners plan to be aggressive in getting the word out about Wyckoff through some targeted marketing, and they said that word-of-mouth marketing has already generated a solid response. Membership that once exceeded 400 is now closer to 150, and the new owners obviously hope their investments and ongoing work to get the message out will bring that number considerably higher. If this trend continues, then a course with some rich history can continue adding new chapters to that discourse for decades to come. John Gannon says there are always hot topics within the broad realm of employment law. And sometimes — actually quite often these days — there are what he called “sizzling hot” topics. The state’s Paid Family and Medical Leave (PFML) law certainly falls in that latter category. Provisions of the bill, specifically the contributions to be paid by employers, go into effect on July 1. The actual law itself doesn’t take effect until Jan. 1, 2021, but the time between now and then will go by quickly, said Gannon, an employment-law specialist with Springfield-based Skoler, Abbott & Presser, adding that employers should do whatever they can to be ready. And there are things they can do, which we’ll get to in a minute. First, the law itself. Gannon used the single word ‘scary’ to describe it, and he was referring to the reaction of employers large and small who simply don’t know how this piece of legislation, which makes the acronym PFML a new and important part of the business lexicon, will affect their business but have a good right to be scared because of how generous it is. 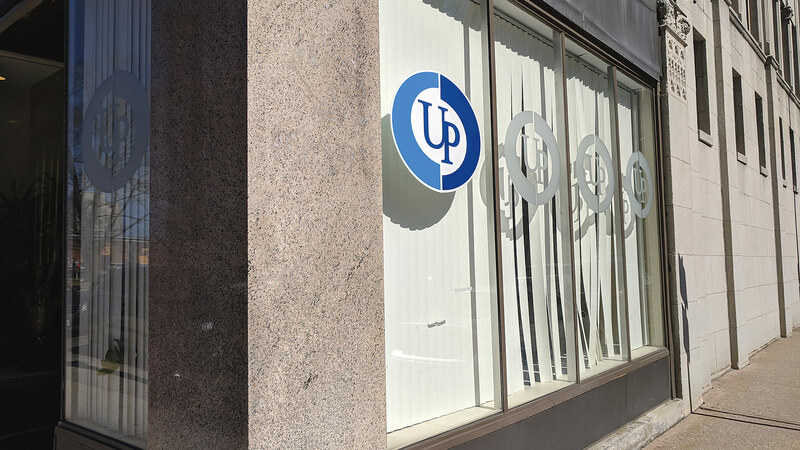 Gannon is expecting the Paid Family and Medical Leave Law to be among the main focal points of conversation at the firm’s annual Labor and Employment Law Conference, set for May 21 at the Sheraton Springfield. The conference is staged each year to help local businesses stay abreast of laws and regulations relating to labor issues, said Gannon, and this year there will certainly be a number of issues to discuss. Indeed, breakout sessions are slated on a host of topics, including PFML; wage-and-hour mistakes; harassment, discrimination, and why employers get sued; a labor and employment-law update, how to handle requests for reasonable accommodations (there will be a panel discussion on that topic); and how to conduct an internal investigation. 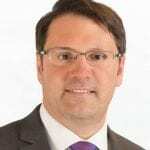 But Gannon told BusinessWest that paid family and medical leave will likely be the focus of much of the discussion and many of the questions, primarily because the law represents a significant change in the landscape, and business owners and human resources personnel have questions about what’s coming at them. The first of these questions concerns the contributions to start July 1. A 30-page set of draft regulations was recently released by the Executive Office of Labor and Workforce Development’s Department of Family and Medical Leave, and that same office has issued a toolkit for employers with information on everything from remitting and paying contributions to notifying their workforce to applying for exemptions. 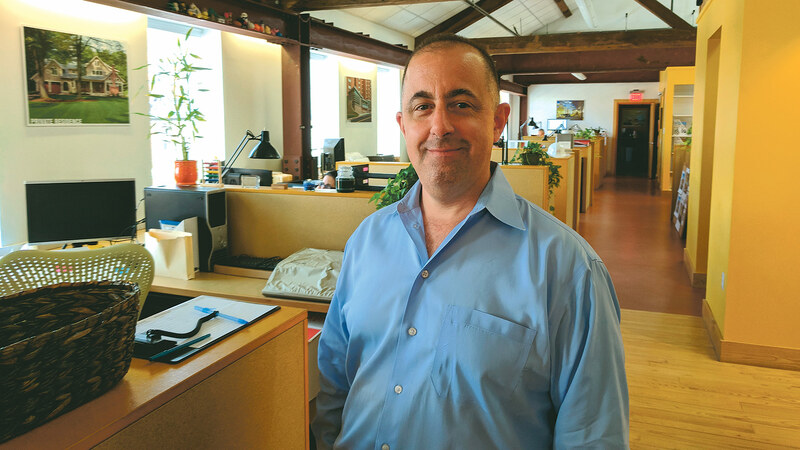 There’s quite a bit to keep track of, said Gannon, adding that, under the new law, Massachusetts employees will be eligible to take up to 12 weeks of paid family leave (up to 26 weeks in certain circumstances) and up to 20 weeks of paid medical leave. In most cases, leave may be taken intermittently or on a reduced-schedule basis. In most cases, the annual cap for family leave is 12 weeks, 20 weeks for medical leave, and 26 weeks total cap for both, if needed. The employee must give at least 30 days notice of the need for leave or as much notice as practicable. The weekly benefit amount maximum is $850 to start; in future years, it will be capped at 64% of state average weekly wage. The weekly benefits will be funded by contributions from payroll deductions into a state trust fund. The initial rate will be 0.063% of the employee’s wages. Employers may require employees to contribute up to 40% toward medical leave and up to 100% for family leave. Employers with fewer than 25 employees are exempt from paying the employer share of the contributions. Employers must continue employee health-insurance benefits and premium contributions during any period of family or medical leave, said Gannon, and they must restore employees who return from leave to their previous, or an equivalent, position, with the same status, pay, benefits, and seniority, barring intervening layoffs or changed operating conditions. 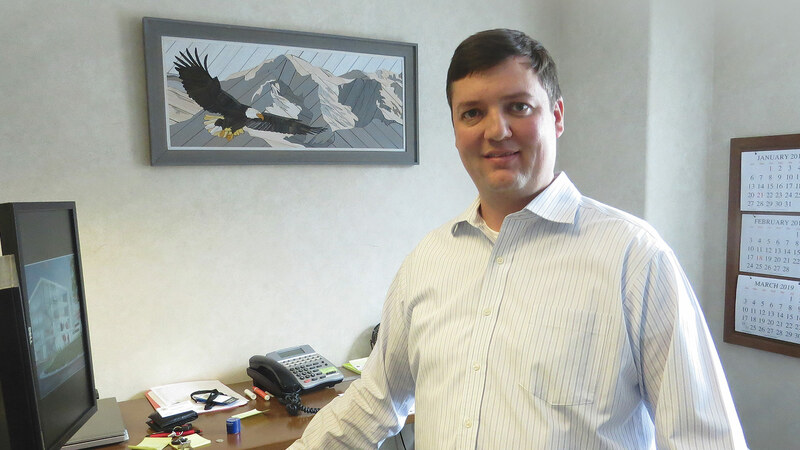 There are many other conditions and bits of fine print, he told BusinessWest, adding that, while Jan. 1, 2021 is a long seven business quarters away, business owners and managers can and should start to prepare themselves for that day. They can start by asking questions and getting answers, he said, adding that small businesses with fewer than 50 employees have not had to deal with federal family medical leave regulations and thus are treading into uncharted waters. “They’re going to have to start thinking about how they’re going to manage this from a staffing perspective,” he said, adding that he is expecting a number of queries along these lines at the May 21 conference and the months to follow. But overall, it’s just one of many challenges facing employers in the wake of the #metoo movement and other forces within employment law, all of which can have a significant impact on a business and its relative health and well-being. Handling requests for reasonable accommodations is another area of concern, he noted, and that’s why the conference will feature a panel of experts addressing what has become a somewhat tricky subject for many business owners and managers. For more information on the conference, visit skoler-abbott.com/training-programs.